Product Description:We offer to our clients a range of envelope cutting machine, paper cutting machines, which are fabricated using high grade raw material. These ensure the proper cutting of paper and this is then utilised to manufacture a range of envelopes. The cutting machine allows for cutting paper for envelopes of various dimensions. Gross Weight Approximate 1200 Kgs, 1400 Kgs. Size of Machine 19" x 33" , 24" x 36"
Power Required 3 H.P. , 5 H.P. This is a clutch operated the machine for an automatic stop after each impression. 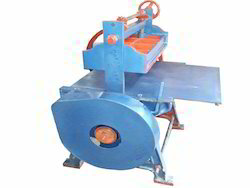 Most rigid machine to undertake full Load. Useful for the manufacture of Envelopes, paper circle cutting, Inland letters, cards etc. The distance between the two plates is adjusted by means of Bevel gearing, according to a pile of papers & height of die. SIZE OF MACHINE 19" x 33" & 24" x 36"
POWER REQUIRED 3 H.P. & 5 H.P. Looking for Envelope Cutting Machine ?